Traditional Astrology Radio is a monthly podcast that covers topics related to “traditional” pre-20th century forms of astrology. The show is hosted by professional astrologer Chris Brennan. During the show we cover topics related to the history, philosophy and techniques of ancient astrology, including the use and relevance of these ideas in the modern world. Sometimes the shows consist of interviews or discussions with other astrologers, while other times there are solo shows that simply involve Chris talking about a specific topic or a piece of news that is relevant to traditional astrology. 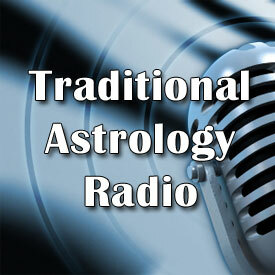 Traditional Astrology Radio was started and hosted by David Hernandez from June until September 2009. It was then hosted by Jacqui Menkes from September 2009 until November 2010. It has been hosted by Chris Brennan since November 1, 2010.